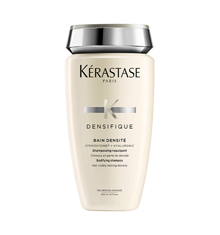 Kérastase creates beauty in three stages: bathe, treat, texturise. 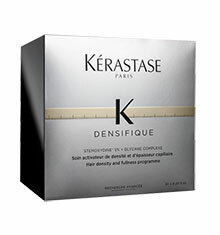 Kérastase Densifying mousse instantaneously transforms hair into voluminous, sultry tresses. 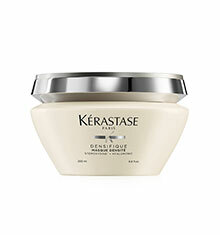 From root to tip, the mousse penetrates each hair fibre to achieve a supple and noticeably fuller head of hair. 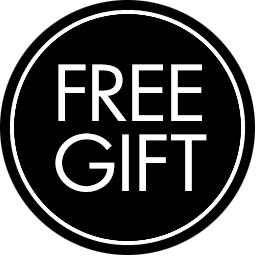 The enriched formula of Gluco-lipids reshapes the presence of hair quality and replenishes the hair fiber leaving hair perfectly texturised and strengthens the hair fibre to reduce breakage of fine/weak hair. Hyaluronic acid enriched formula tackles thinning hair strands whilst hydrating and adding thickness, fullness and resilience. Shake well before using. 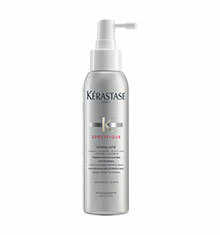 Apply an orange-size amount of mousse on washed, towel-dried hair. 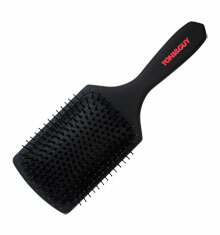 Use a comb to apply, moving down from the roots and ensuring that the product is applied thoroughly along the length of the hair. Proceed to styling. Do not rinse.